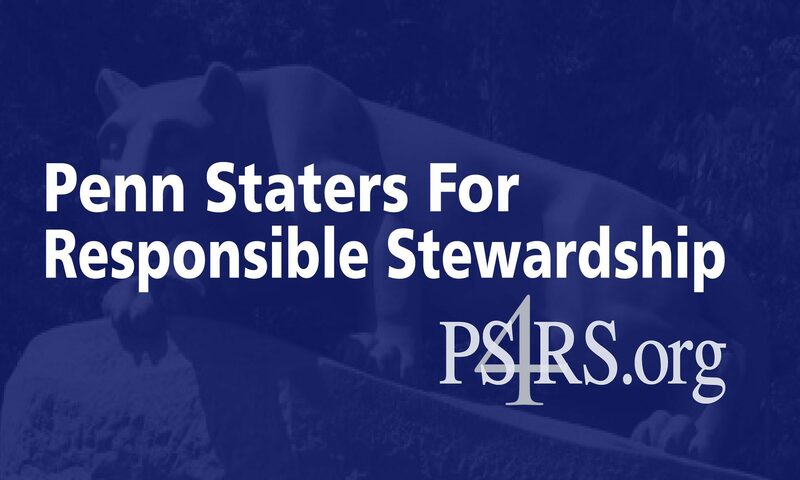 PS4RS-Endorsed Candidates Take Center Stage to Communicate Thoughts for Change within the Penn State Board of Trustees. APRIL 1, 2012 —- Penn Staters for Responsible Stewardship (PS4RS), the organization formed to affect positive change within the University Board of Trustees, demanding transparent, trustworthy and moral leadership in the upcoming elections, has launched a two-and-a-half-minute campaign videofeaturing its three endorsed candidates, Mark S. Connolly (#78), Barbara Doran (#52) and Anthony P. Lubrano (#59). Already gaining traction throughout various social media networks, the video can be viewed and shared from the organization’s website at http://www.ps4rs.org. The group is currently evaluating traditional media advertising.